Description - Shaw's Heartlands vinyl sheet collection showcases beautiful stone tile and wood details. Resembling the real thing at a fraction of the cost, this resilient flooring is waterproof and resistant to the growth of mold and mildew. Sheet vinyl flooring is popular due to its ease of cleaning and maintaining, most commonly found in homes as well as offices. 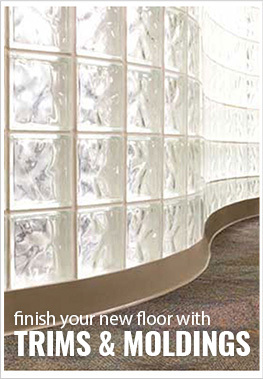 Unlike other flooring materials, this versatile material allows it to installed on, below, and even above ground level. The Heartland product line is made durable, long lasting, and is also backed by a 5 year warranty. Pattern Repeat & Drop – Wisconsin, Indiana, Minnesota, Madison, Lincoln, Bloomington, Peria, Wichita & Missouri: 39.4" x 39.4" drop: 19.7". Iowa, Montana : 59.1" x 39.4" drop: 26.27" Springfield: 39.4" x 39.4" drop: 13.13". Dakota: 59.1" x 39.4" drop: 19.7". Omaha: 39.4" x 39.4" drop: 15.76". Duluth: 39.4" x 39.4". Recommended Uses – Vinyl flooring sheets are very versatile, making them great for many applications in a variety of spaces. Some spaces include bathrooms, laundry rooms, kitchens, family spaces, home offices, waiting rooms, break rooms, and more. You can install vinyl sheet directly on the concrete. I love my new bathroom floors! They turned out great! Thank you so much! Customer service was amazing! They answered all my questions and got back to me very quickly. I have always loved the wood look floors but knew they were a PITA to upkeep. This is way easier and was also way cheaper than the bids I got from contractors for the real stuff.